The mammalian target of rapamycin complex 1 (mTORC1) is fundamental for many cellular processes, yet it is often dysregulated with aging. Increased amino acid (AA) availability is correlated with the expression of AA transporters (AAT) and mTORC1 activity. Although many AA sensors and mediators have been proposed to relay the AA signal to mTORC1, it has not yet been determined if chronic dietary intervention affects the expression of AAT, sensors and mediators and their relationships with mTORC1 activity. 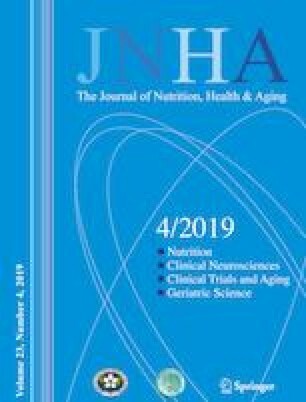 This study investigated whether the consumption of a diet containing either the current recommended daily allowance (RDA) of protein intake (0.8 g/kg/d) or twice the RDA (2RDA) for ten weeks affected the expression of targets associated with AA transport, sensing and mTORC1 regulation in 26 older men (70-81 years). Muscle biopsies were collected before and after the intervention under fasting conditions. Diets were controlled by providing fully prepared meals and snacks. Western blot and quantitative polymerase chain reaction were used to measure protein and gene expression respectively. Consumption of 2RDA reduced the protein expression of L-type amino acid transporter 1 (LAT1). However, plasma leucine concentration and basal mTORC1 activity were unaltered. The downregulation of LAT1 did not affect the expression of AA sensors and mediators, including leucyl tRNA synthetase (LRS), cytosolic arginine sensor for mTORC1 (CASTOR1), Sestrin2 and Rag proteins. Instead, total ribosomal protein S6 (RPS6) was upregulated with 2RDA. Ten weeks of 2RDA diet did not affect the fasting mTORC1 signaling, but increased total RPS6 might suggest improved muscular translational capacity to maintain muscular mass.